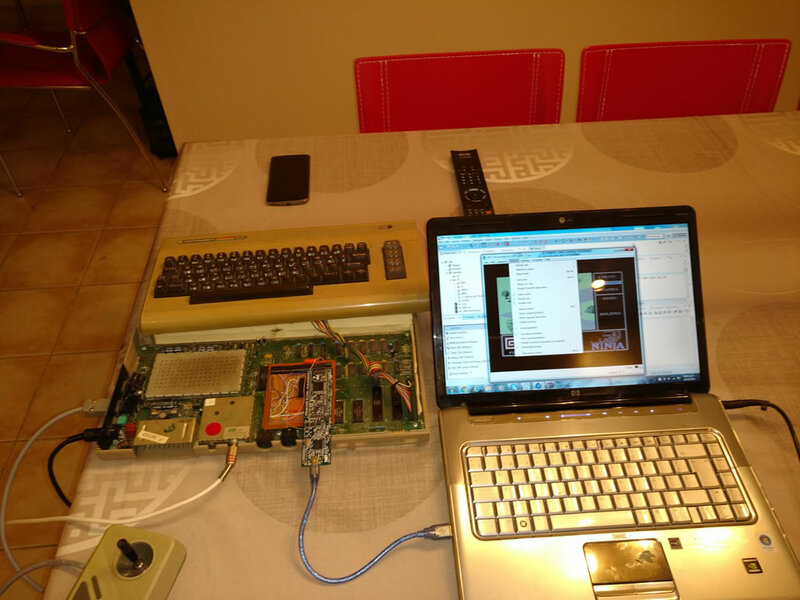 Exploring reconfigurability of the ARM-powered C64 I added a Z80 emulator to the existing 6510 emulator. 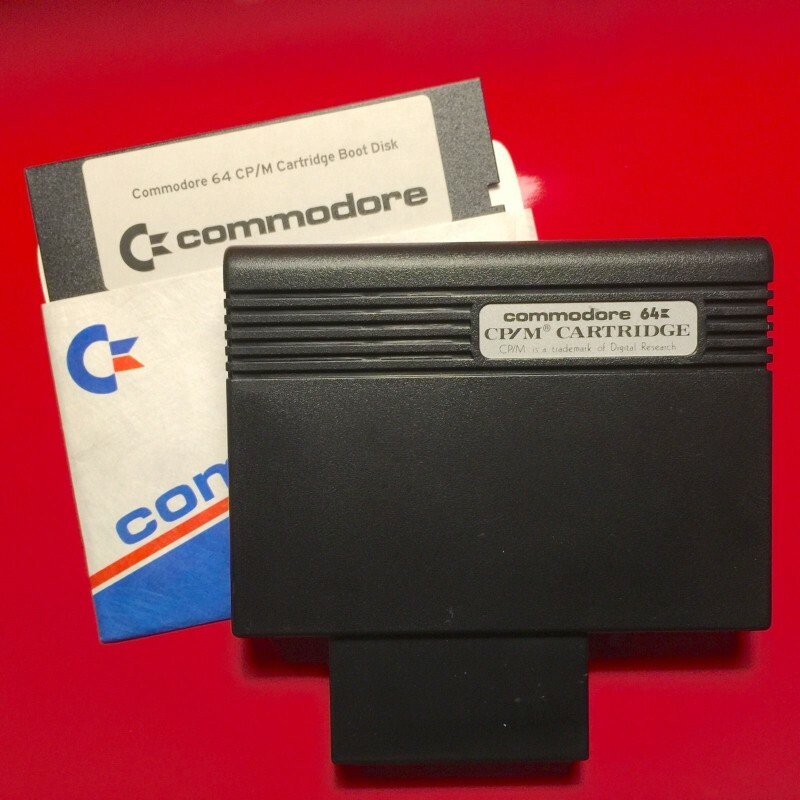 And for dynamic testing what better than cartridgeless C64 CP/M. 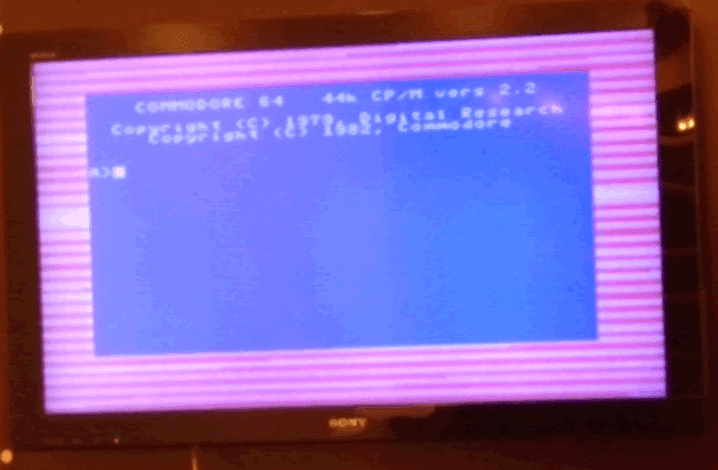 So, heterogeneous multi-software-core C64 is obtained. Of course non-parallel concurrency is obtained, as only one hardware core (ARM) is available. available for CP/M. See more about this at Ruud Baltissen's site. 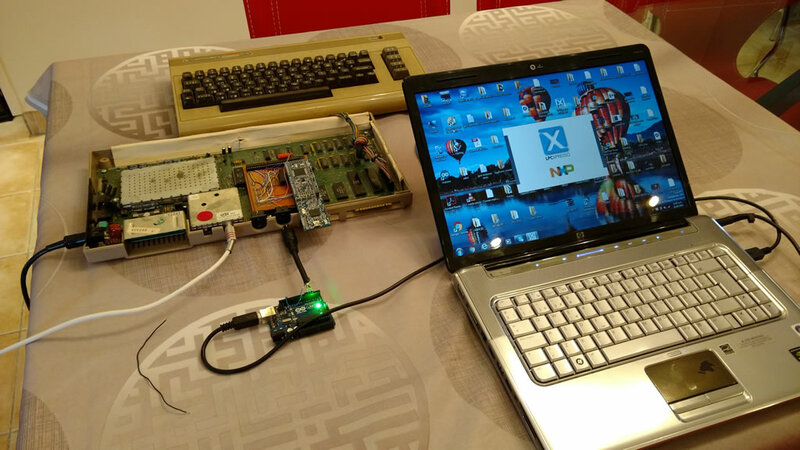 As the original cartridge shares buses between 6510 and Z80 (and also VIC), not allowing simultaneous processors operation, the presented ARM based, non-parallel dual core, is enough for C64 CP/M execution. 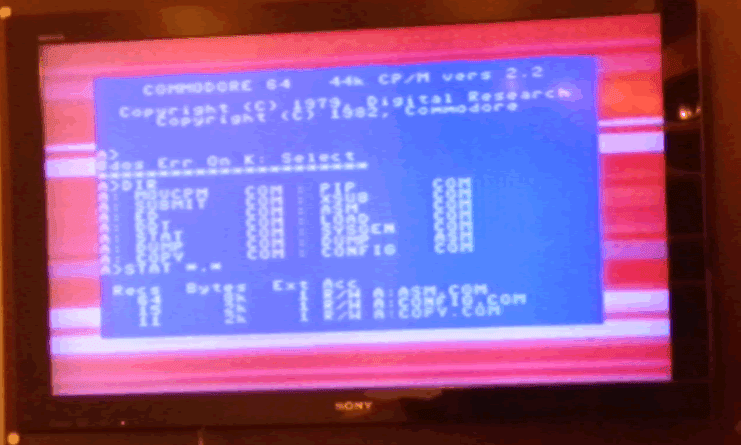 Some CP/M BIOS portions, like disk access take advantage of C64 kernal (ROM) and were written for 6510, and CP/M core, running on Z80, calls them continually (as border colors in the video). 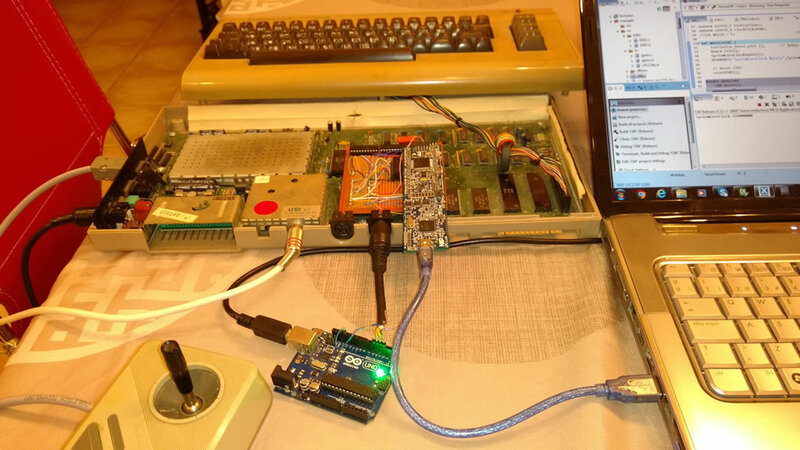 In previous post an ARM based C64 was presented, with a C coded 6502 emulator modified for 6510-like operation. 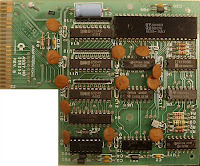 It's based on the great Mike Chambers fake6502 emulator. 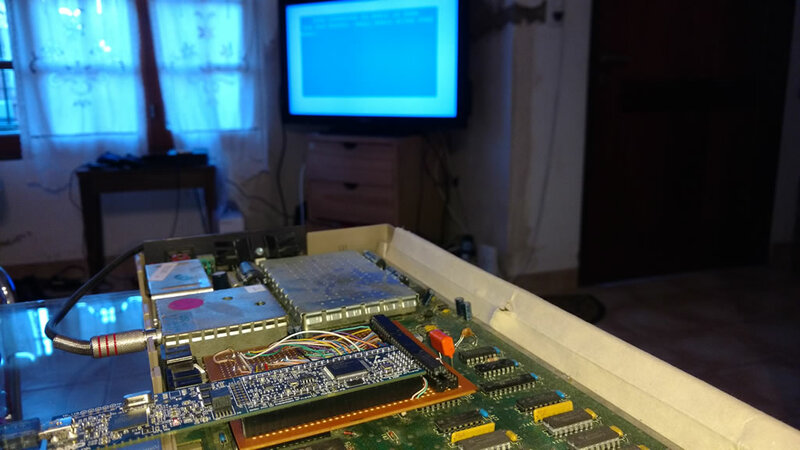 Looking for free portable Z80 C coded emulator I found Marcel de Kogel's Z80emu: "written in pure C, which can be used on just about every 32+ bit system". 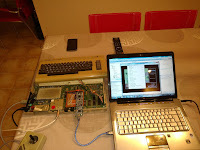 It was easyly integrated to the existing project IDE: a bare-metal LPC1769 Eclipse workspace. For ARM compilation "low-endian CPU" option must be declared in Z80.h at "Machine dependent definitions" section. 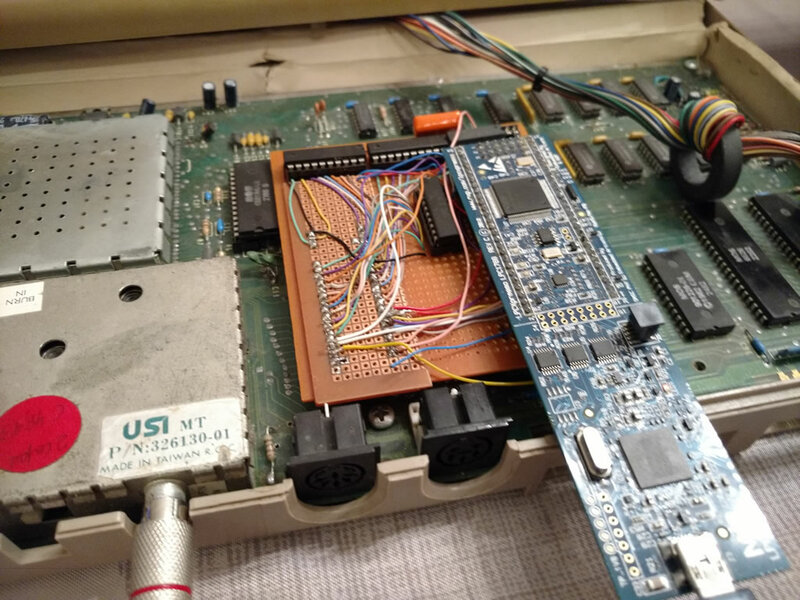 Z80 use in the C64 cartridge is limited, as IORQ and interrupts are not used, only memory access must be implemented. cartridge for address-space shift. 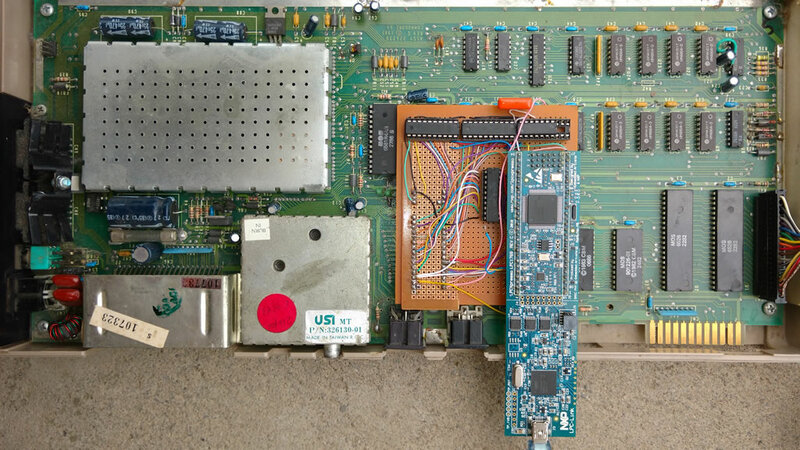 This is so because of the conflict betwheen 6510's I/O port and Z80's reset vector, both located at 0x0000. 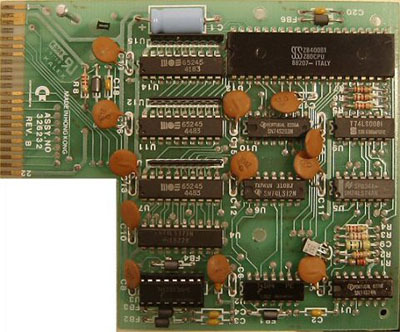 Without a core scheduler, the C64 CP/M cartridge, implementes a simple scheme. 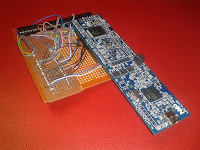 The Z80 is enabled or dissabled writing a byte to an address in the range $DE00/$DEFF with LSB = 0 or 1. Note MODESW definitios due to address shift. 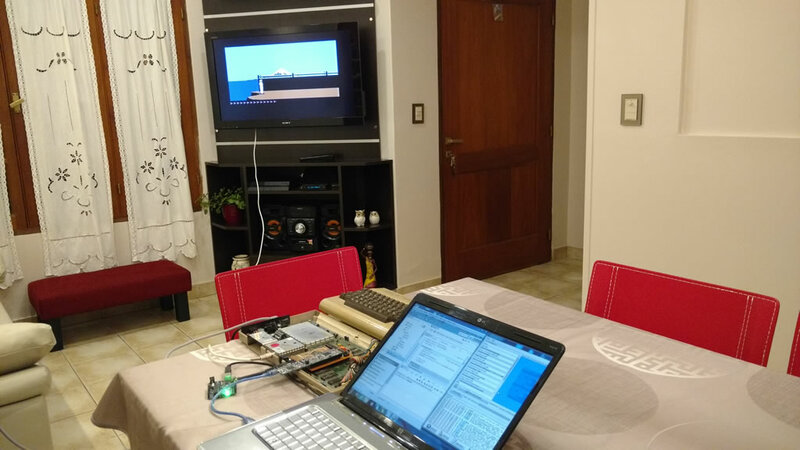 Recently I found Kernal64, a Scala Commodore 64 emulator supporting CP/M. Its autor resolved this, long before, in a very simmilar way. For previous C64 IEC testing the Uno2IEC was used, but this simple Arduno based drive emulator does not support sector read and write needed by CP/M disk access. Hi! Nice project, very inspirative. The LPC1769 is so fast you could manage to hook it up to the bus directly, with some clever assembler routines you could have it reacting to DMA requests from the VIC in an interrupt routine. 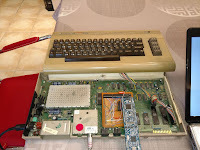 (in assembler it enters the interrupt routine in about 100 ns) I did something similar with a LPC1769 connected to a Videopac console emulating the cartridge ROM and in the free time outside the interrupt routine I emulate the speech synthesizer. 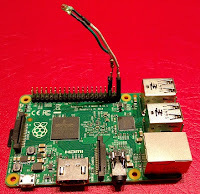 The LPC1769 is 5 Volt tolerant on the IO.